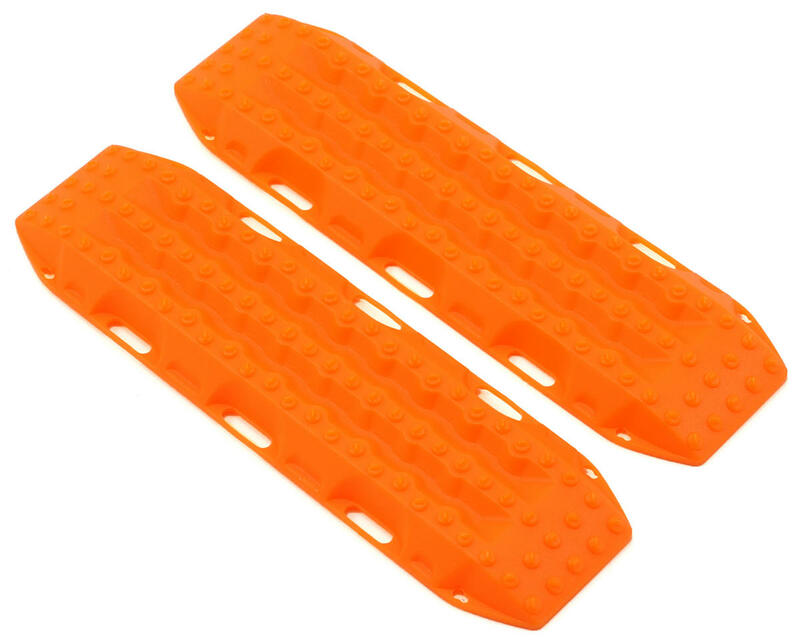 This is a pack of two RC4WD MAXTRAX 1/10 Vehicle Extraction & Recovery Boards. 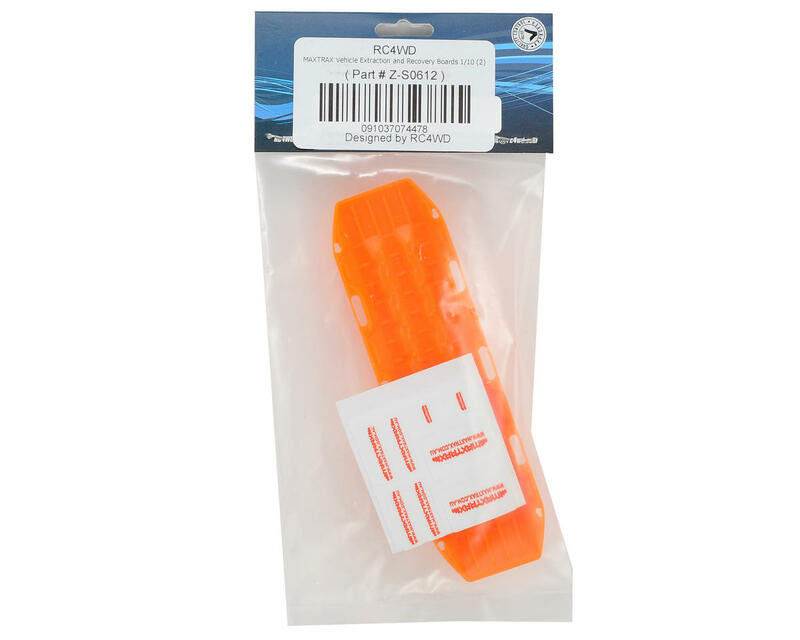 RC4WD has teamed up with MAXTRAX to make vehicle recovery and extraction easier that ever! The engineered, tested and proven design delivers a safe, simple, quick and an easy method to get your stuck truck out of a bad spot. Really flimsy and fragile. More for looks than real use. Nice scale items. I haven't actually used it to get unstuck, but they look good attached to my rear tire carrier.